The casino industry in British Columbia has received a lot of media publicity in the last couple of years due to multiple allegations of money laundering taking place and casino authorities turning a blind eye deliberately. The B.C. Lottery Corporation (BCLC) which is the gaming regulator has the responsibility of not only overseeing the industry but also making sure that its casino industry is free from money laundering. 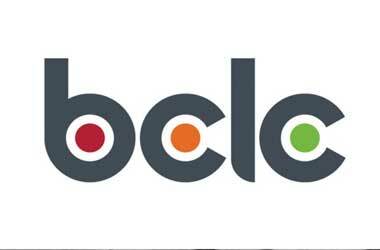 Now troubling reports have surfaced that the BCLC was paying their investigators and managers bonuses based in part from casino profits during this particular period when money laundering was suspected of taking place. It does not take a rocket scientist to figure out that if BCLC investigators are getting a percentage cut from casino revenues as a bonus or incentive, their bonuses get bigger when casino profits get higher. Casino operators have been accused in the past of deliberately turning a blind eye to money laundering practices and VIP customers who have suspicious bankrolls because they want them to spend big money at the tables. If casino operators are bending the rules regarding money laundering and BCLC investigators bonuses are determined by casino revenue – then there is a serious conflict of interest. Reports obtained via the B.C. 's Freedom of Information Act show that managers and investigators from the BCLC received a total of $500,000 in incentives and bonuses between 2010 to 2014 – a period in time where money laundering was supposed to have taken place. Joe Schalk, ex-senior director of investigations for the gambling regulator said that this particular policy should never have been approved. Investigators had an average base salary between $61k to $84k per annum while managers had an average base salary between $78k to $102k per annum. The majority of bonuses paid out to these investigators was between 6 percent to 8 percent. This bonus policy was scrapped by the BCLC in April 2014. The BCLC is committed to cleaning up its gambling industry and casinos have been put on notice of enforcing strict anti-money laundering regulations to curb black money from being laundered at the casinos.